It is designed to guarantee the highest level of performance, reliability, energy saving, and ergonomic operation. 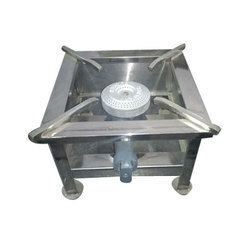 Chinese Burner is a perfect fit for all type of Fast Food Outlet. Chinese Burner has a drain slot at rear side for easy cleaning & a Faucet for water during cooking. Riding on unfathomable volumes of industrial expertise, we are providing a broad array of Two Burner Commercial Gas Stove. Backed by rich industry experience and market understanding, we are involved in offering a wide array of MS Double Gas Bhatti to our valued patrons. Our organization is well known in the market for providing a broad assortment of Commercial Gas Bhatti to our clients. These products are manufactured using quality tested components. Enriched by our vast industrial experience in this business, we are involved in offering an enormous quality range of Four Burner Commercial Gas Stove. Our company has gained name and fame in presenting Two Burner. 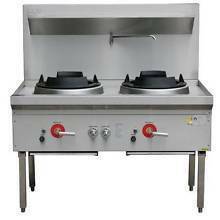 Hot Springs Offers relaiable LPG single burner stoves with with good quality.